Gone are the days of flying those aerial vehicles just to capture any image or film a video from high up in the air. It’s a high tech world now and super drones have come along, they are controlled remotely and can capture live videos and images by an HD camera. Drones are now becoming highly popular among professional aerial photographers, sportsmen, hobbyists, and many other passionate individuals. But the biggest challenge is finding the best drones with HD camera as there is a variety of drones out there on the market. 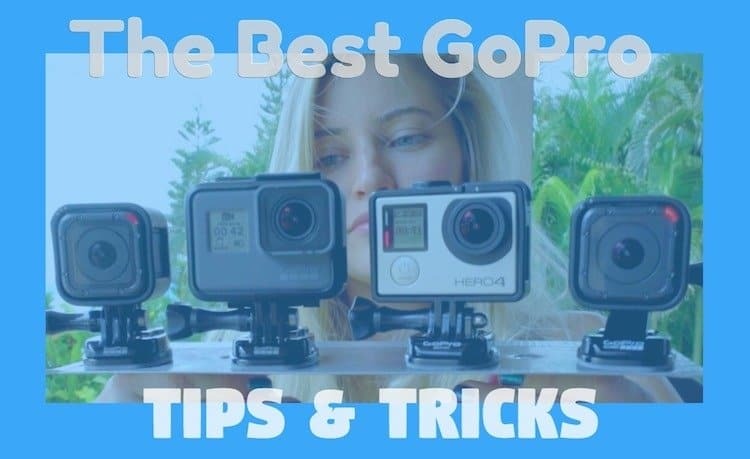 The list below is a summary of the best drones for a hit photo and video capture. All these best drones with HD camera we included in the article are chosen based on functionality, usability and their features. 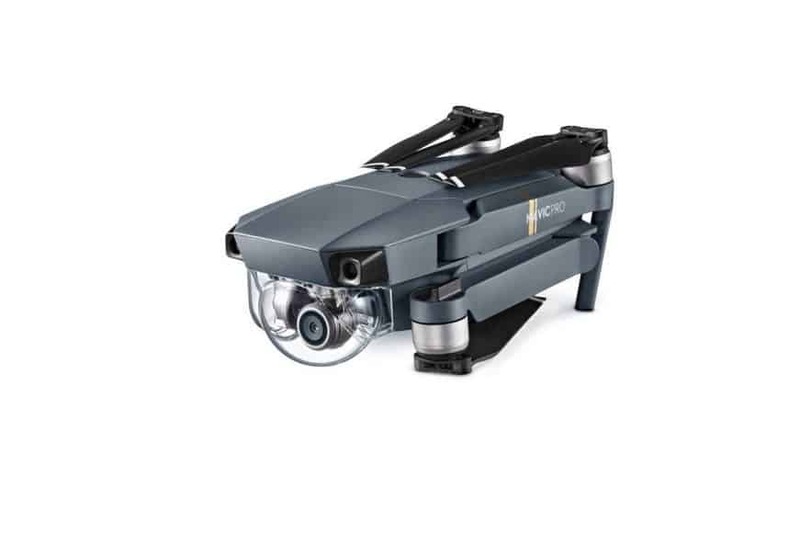 If one is looking for a drone that will change the game of their image capture then DJI Mavic Pro is the one for those passionate aerial filmmakers and photographers. Initially this portable device is marketed as a professional aerial media network. It’s slim and sleek size covers much of a high measure of sophistication and intricacy, and the price range of it makes it obtainable for all the newbie cinematographer. 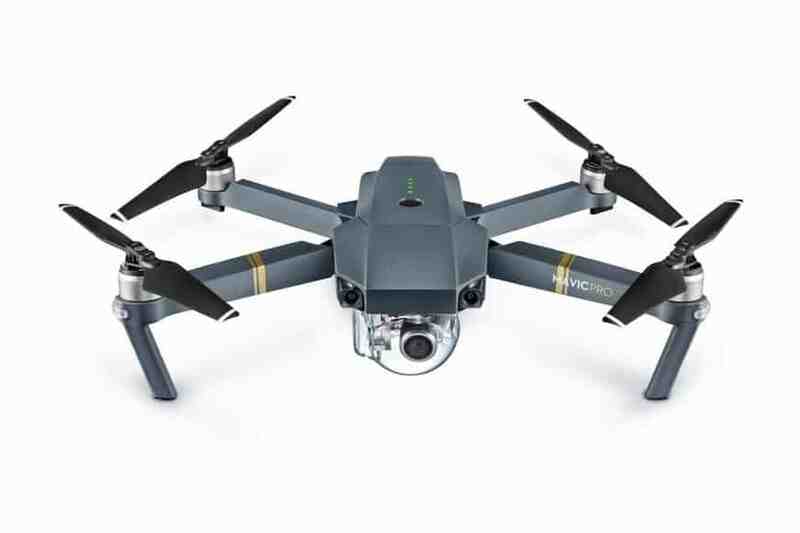 The latest update this is the Mavic Pro Platinum. The Mavic Pro Platinum is about 60% quieter compared to Mavic Pro and has 11% extra battery life, cracking its average flying time up from 27 minutes – 20 minutes. Typhoon Hexagonal Drone is a smart one that captures high resolution images regardless whether it’s flying at a low or high speed. It boasts a high quality camera capturing snaps in 4k UHD (Ultra High Definition) and 12MP. The device features a 5 inch colourful touch screen, a retractable landing gear and greater control for the 360-degree full ant-vibration axis gimbal. The Yuneec Typhon comes with an automatic return-to-home mode; GPS stabilized control, eight smart flight modes, auto land, and also Collision Avoidance for reducing possibilities of crashing or bumping into the object and have command over a seamless operation. 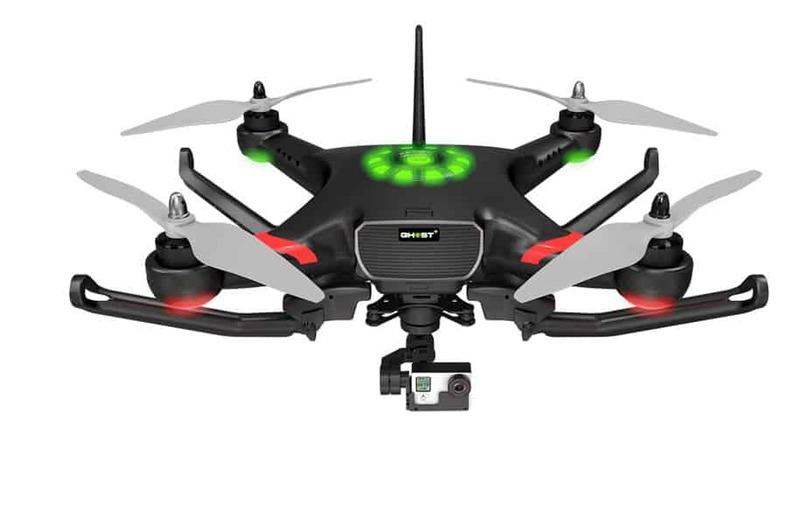 This smart drone is packed with all amazing features and is in a ready to fly mode. It sports a 12MP camera and 4k UHD camera for capturing the perfect snaps and aerial pictures respectively. 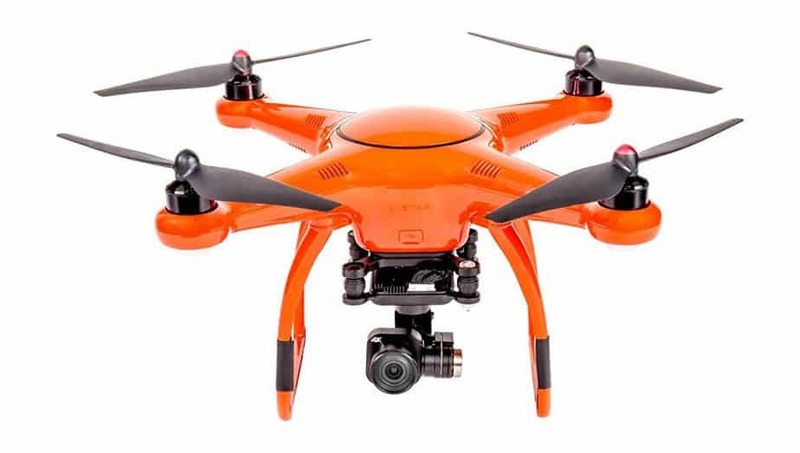 Designed in a hard orange outer-shell the “Autel Robotics X-Star Drone” proposes a live view of 1.2 mile and operates through a smart flight control system, “GLONASS” satellite navigation, and a dual GPS. The 3-axis gimbal supports to stabilize and hostile vibrations of the craft. It operates through a smart flight control system, dual GPS, and GLOASS satellite. The Spark is the special type of Drone that ascents from the owner’s hand and automatically gets into the “Gesture Mode” that lets operators send it across the air and capture a video with its pre-defined flight paths, such as filming fro straight up, or following, or circling. 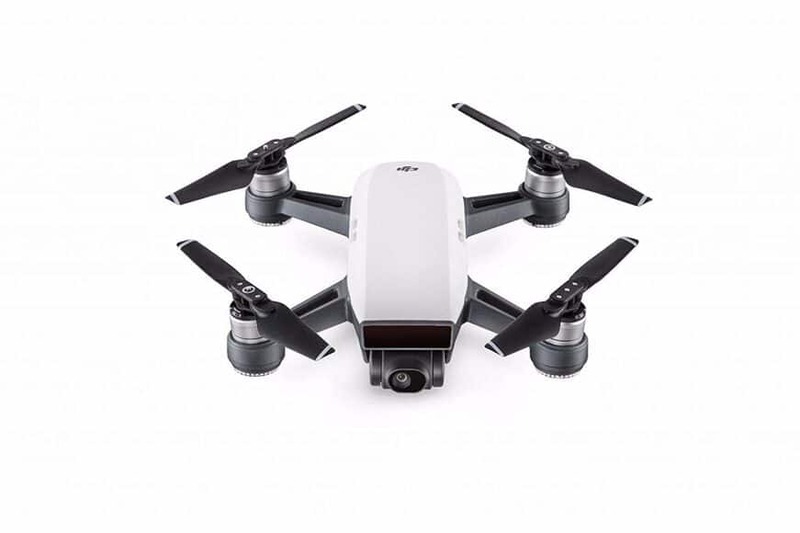 With the help of its obstacle prevention technology, and gesture recognition mode, it’s not something extra to say that the Spark by DJI is truly delivers a work with Spark being the most user-friendly drone available in the market. The Spark brings along a latest “Quick Shot mode” that automatically fosters a 10-second video from the captured footage in the flight. Quick shot helps in avoiding all required work for capturing raw footage and develop a final video. If one is looking for the best shots for their filming the “Quick Shot” mode does just that. The Thunder Tiger Robotix features the latest technology in it, making it easy to film videos from the air. All the requisite parts are already assembled for you so you can start aerial voyage as soon as possible. Just add your preferred camera and electronics, it’s a truly customizable kit to take to the skies. 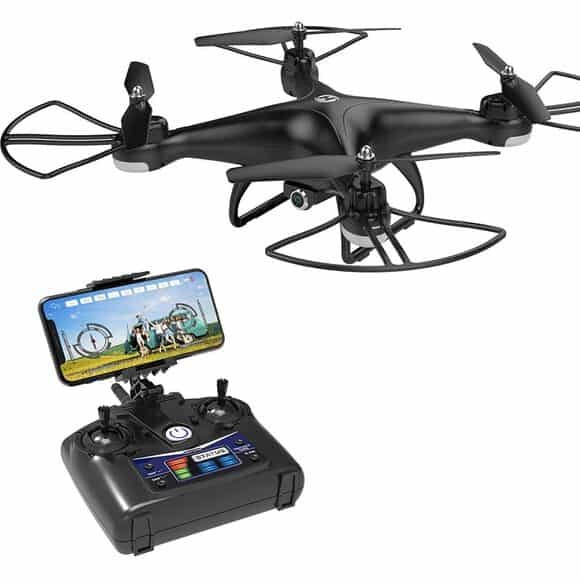 The quadcopter, has four propellers, a removable battery and equipped with a GoPro gimbal stabilizer which is attached to the bottom and can record shake-free, high-resolution images and high-definition video. Intelligent power system with battery capacity check and anti-spark design. Retractable landing skid provides better view of camera lens. HS110 quadcopter from Holy Stone is a fully equipped drone that has everything you could ask for at a very solid price. 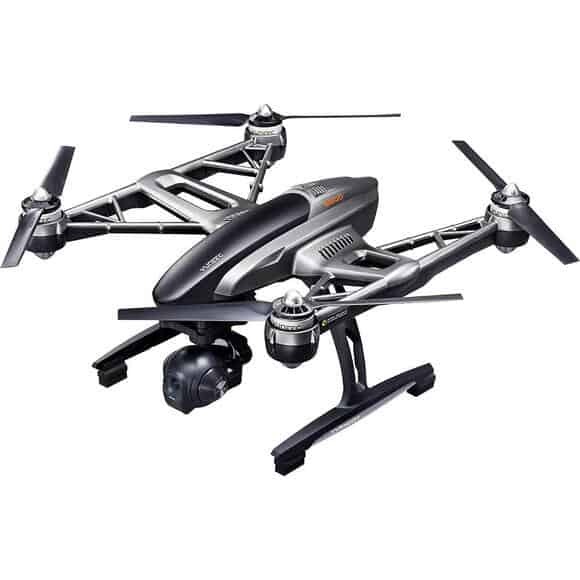 This drone includes a 720P camera and ultimate focus is on making this drone flying experience enjoyable and uncompromisable. With amazingly fast speeds and a good range of 4 speed adjustments to choose from, the Holy Stone HS110 is an ideal drone for beginners and experts alike. The one exception to this is professional photographers. If you’re looking at taking some of the best shots or videos from the air, there are some better but pricier drones you can look into. 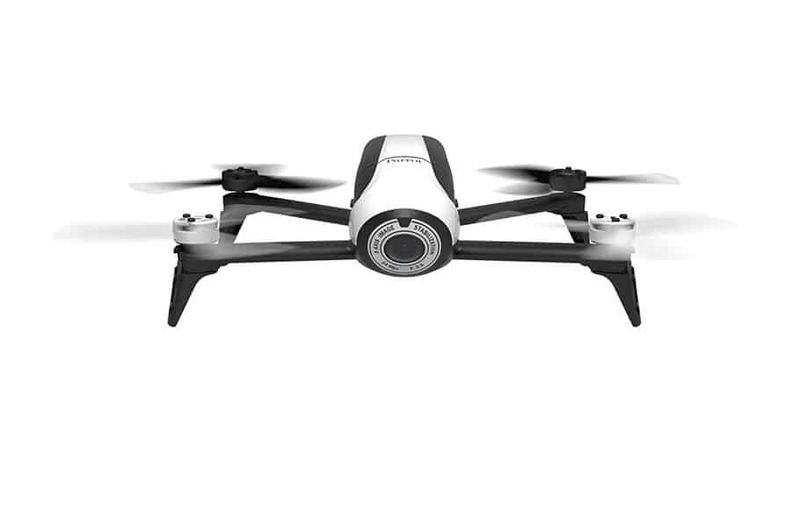 This drone by Parrot captures super quality high definition images and aerial videos. The Parrot Bebop 2 Quadcopter is loaded with a 14 megapixel fish-eye lens that offers 1080p video recording and stunning image capture. Offering horizontal and vertical 180° pictures, makes it easy to take aerial photos without losing quality. RAW or DNG formats available for professional results. Overall Bebop 2 is rightfully on this list of the best drones with HD camera, whether you’re beginner or a professional. Replacement parts could be easily purchased individually, there are videos on how to repair drone’s components, so if crashed it can be easily rebuilt. 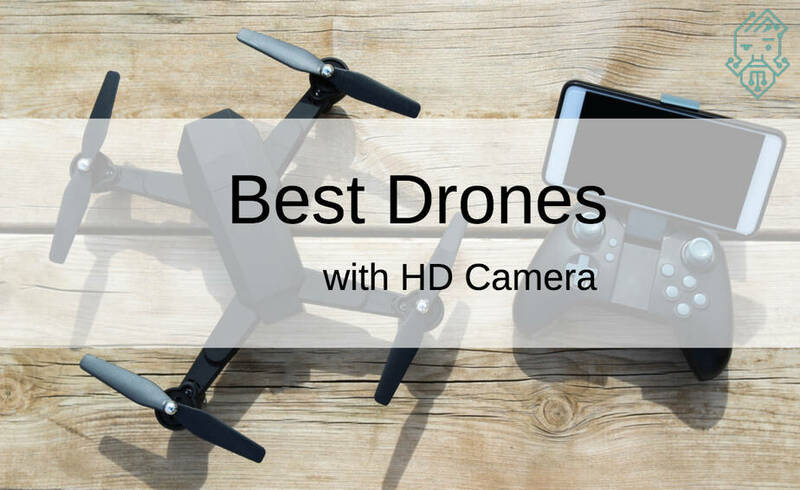 So when speaking about the best drones with HD camera, a series of choices comes along and this list is here to help you pick the right target. They have a good price range and some are more affordable than the others. These drones serve all kinds of purposes and once you buy one, check out drone flying and photography tips. As always, please let us know what you think in the comments section below.